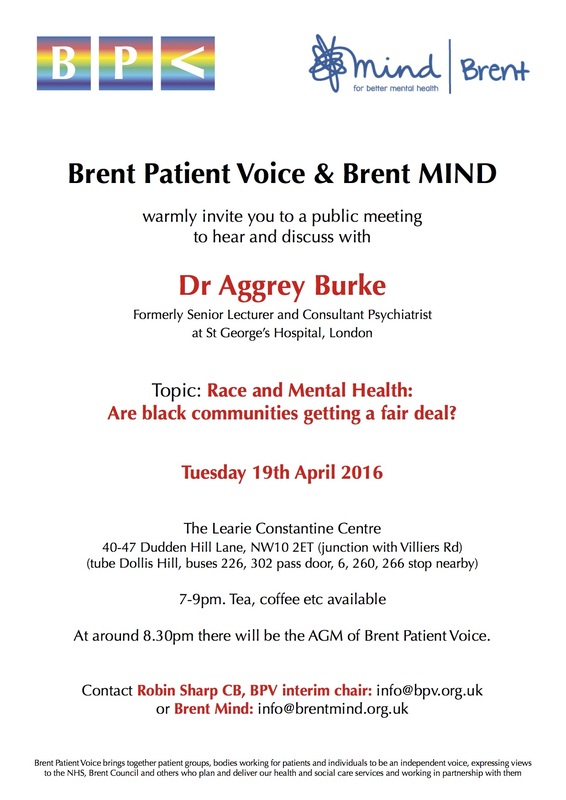 Race and Mental Health: Are black communities getting a fair deal? BPV and Mind public meeting, 19 April. This entry was posted in Health and tagged BPV, Mind. Bookmark the permalink. Both comments and trackbacks are currently closed.